I do try to avoid teenage angst-filled, melodramatic, and overly high school YA books, but sometimes you just can’t tell until you crack the spine. Which is unfortunate, b/c I’m sure that there are several of you out there who feel you have given YA a more than fair shot, but it’s just not for you b/c the teenage angst-filled, melodramatic, and overly high school YA books are the only kind that you’ve happened to stumble across. Well, I’m here to tell you that there is more to YA than that. LOTS more. In fact, most of my favorite YA books are (IMO) only categorized that way b/c of 1. the numerical age of the MC(s), and 2. lack of hanky-panky. How do I find these mythical light on angst, heavy on action and entertainment YA books? I internet stalk other bloggers who are my age and share my penchant for YA literature. 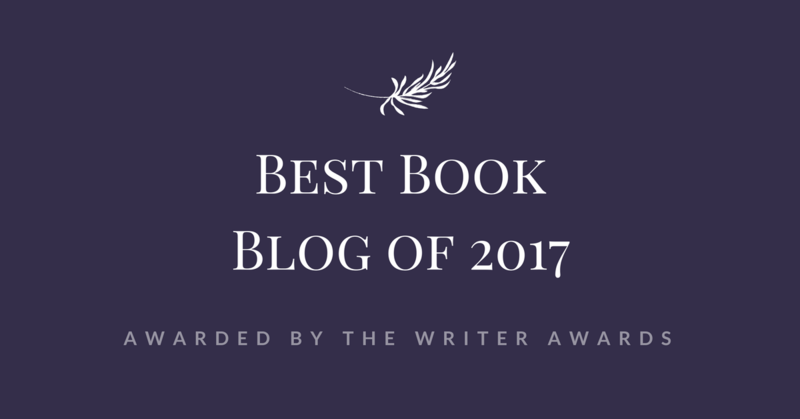 It’s much easier for a YA novel to avoid the standard pitfalls if the story takes place in a fantasy or a futuristic and/or post-apocalyptic world. In fantasy worlds, it’s not unusual for a teenager to be considered an adult, and to have adult responsibilities at age 16, or sometimes even younger, if a tragedy befalls a family, and the oldest child must act as head of household. In futuristic or post-apocalyptic, the author has more freedom to chose how mature the characters should be, and often chose more rather than less. It’s not a foolproof plan, but then again, I don’t think there is one. For ANY genre. Even sticking exclusively to your preferred genres won’t keep you from occasionally falling head-long into a stinker. So you do what you can to minimize the risk. And I think I’ve done that. How about you? What are some of your YA favorites? Are any of my favorites your favorites also? OMG I adore all those books …and there have been some amazing YA. Yeah the only thing I don’t always like are the trilogies , but I am loving the stand alones. Your s-card cracks me up, I think people of all ages are getting addicted to teen serieses lately! That’s b/c there are so many great ones out there! I agree, it is usually but not always, the contemporary (in any genre) that has the most angst and drama. You named some of my favs in your list! I love this genre and I probably always will and yes I fit the in her 30’s and still loving YA books category and I don’t even care that I love it. There are way too many great books out there to not give them a chance because some of the main characters are 15 plus years younger than me. I feel the same way. I was still reading YA books in my early 20s, and I kept waiting to grow out of them . . . and it just hasn’t happened, LOL. And I don’t think it will. wow!! What a great list!! Ooooo and The Demon King (I bought the first two books in that series but haven't picked them up yet .-.). Also… do not avoid contemporary YA. I used to because … eh. I was a snobby middle schooler… I hardly read any contemporary and if it had romance, I'd be like. NO. Except for that one time I read the Sisterhood of the Traveling Pants series (and loved) but I think around 10th-11th grade, I started getting into more contemporary and while I still don't consider it my favorite genre, I have many favs from it… and I totally understand wanting to avoid it because… it's a lot harder to find gems buttttt if you ever decide to give contemporary YA a shot, start with Marchetta, there is a lesser chance of you being disappointed. Thanks, dollface! And OMG I know! Isn’t Immortal Beloved the BEST? And hardly anyone has even heard of it. SPREAD THE WORD. And you definitely need to read The Demon King. Dragonswood too, but The Demon King is one of my ALL TIME favorite YA fantasy series. And I AVOID it, I don’t SHUN it. If a YA contemporary is getting a lot of buzz, I’ll check it out, and if it actually looks like one I might enjoy (not much angst, no one dying of cancer, no one’s sister committing suicide, etc.) I’ll put it on my wishlist. I’ve actually liked quite a few contemporaries—Will Grayson, Will Grayson, The Perks of Being a Wallflower, Lola and the Boy Next Door . . . Oh, oh! And I have Marchetta and I fully intend to read her! Those are excellent examples of wonderful YA books that are not teenyboppery! I tend to stay away from contemporary YA as well. But the dystopia, fantasy, sci-fi, etc, are awesome! Thanks, Julie! And yeah, SFF, etc. has kept me a lot happier with my YA choices. What a great list! I read more middle grade than YA, but there are several here that I’ll be putting on my TBR list. I do agree with you in regards to the story taking place in a “fantasy or a futuristic and/or post-apocalyptic world” to avoid those blasted and dismal pitfalls. There are definitely YA UF series out there that I do like. Actually, a good third on my list up there are YA UF. But for some reason, while my favorite adult genre is UF, my favorite YA genre is fantasy . . .
Yeah, I can’t do that either. I’m too far removed. Even with the older teenagers, if a high school setting is involved, it works best for me if it’s like the summer, or the high school-ness needs to be WAY downplayed. I can’t handle groundings and mean girls and bad report cards . . . blah. I definitely don’t read as much YA as I want to, I think maybe only about 1 out of 5 or 6 reads are YA based on the number of YA weekends I do. Still, I think it’s pretty awesome that in general we seem to have very similar tastes in YA! I have read all four of your ongoing favorite series listed up there (except I still need to catch up with Throne of Glass #2, which I will get to, soon!) and rated them highly as well. I’m really looking forward to Ruin and Rising! I can’t wait for Ruin and Rising. I was panicking about the series ending until I found out that Bardugo got signed for two more books in the same world. And with your love of horror and creepy, and I’m thinking that you would really like Skin Hunger. It’s probably the darkest, grittiest YA fantasy that I’ve ever read, but it’s absolutely enthralling. Thanks, Melissa! And yeah, I have to be, or I’d just be mad all the time, LOL. I liked Fire even more than Graceling, and yeah, you should definitely read the other books in The Grisha trilogy as well. Ruin and Rising comes out in just a few weeks! Awesome, awesome YA reads that you have picked, especially Throne of Glass, DOSAB and Cinder! I agree I have the same pet peeves with you when it comes to those run of the mill, overly dramatic high school YAs. But there is so much more to be discovered in the genre besides that. I loved the Lunar Chronicles series. On my Armchair BEA Day 5 post, I listed some less known authors/books. Loving The Grisha so far. Laura Lam’s series is ace as well. Westerfeld’s Leviathan made me smile. Want to try Throne of Glass one of these days. Oh, and of course, Tiffany Aching series by Pratchett. Because OMG AWESOME. In any case, I don't think I'll ever be able to let go of my love for Middle Grade and Young Adult. There's just something so innocent, and young, and refreshing about these genres that I can never get tired of. And seriously there are so many series to love other than Twilight! My favorite series are the ones you posted htere as well (except for the Laini Taylor one… I've yet to read it). I also LOVE the Across the Universe series! Space operas are the bestest. I think with Tucker the main difference is that while two girls are turned into vampires, one of them keeps moaning that she is a monster now and mourning her humanity (Kagawa), and another kind of revels in it and just does what she needs to do(Tucker) 🙂 I loved that! OMG, you haven’t read The Bone Season yet?!! I LOVED it. Yeah, I get annoyed when supes whine about their supeness. I am a DIE-HARD X-Men fan, but when that Wolverine movie came out—the one where he wants to not be Wolverine anymore—I still haven’t seen it. So Tucker sounds like a winner! And I’ll have to move it up the list 😉 I’ll try to get to it before the next book comes out. That’s a nice selection of books. I enjoyed Daughter of Smoke and Bone and Siege and Storm. I will have to check out the rest. Agree with poster above – The Burning Sky by Sherry Thomas and Seraphina by Rachel Hartman are nicely done as well. And so grows Mt. TBR….. Burning Sky is already sitting on my kindle waiting for me to read it, and I did enjoy Seraphina. I actually liked the prequel better than the first book though . . . not that Seraphina wasn’t good, but the that prequel was incredible. And it was one of those prequels that came out after the fact (I think), so I already knew the characters will enough to be invested in the story. Teenage angst, tied for the number 1 reason why I read very few YA. That and there seem to be a lot of love triangles (at least that’s what the covers/blurbs make it sound like). Not a fan of that in any genre. I don’t mind a bit of friendly competition, but yeah, when there’s too much drama and angst involved, love triangles are no fun for anyone, doesn’t matter what genre. As you know – I love YA. I hadn’t thought about the fact that fantasy/dystopian worlds change the way our characters act, bu that makes a LOT of sense. The only YA series I’ve read that falls into the teenage angst a bit but I still love is Soul Screamers by Rachel Vincent. There’s enough good that I just overlook the angst. But I just caught up on the Lunar Chronicles and it was fantastic. I read Throne of Glass – great stuff – and need to catch up. The others are still on my TBR but I’ll get there! SO many books, SO little time 😉 And I haven’t read Soul Screamers. Maybe I need to check it out though b/c I wasn’t a big fan of Vincent’s adult UF series b/c I was bored, and sometimes authors don’t do well in both YA and adult for me. Like Kim Harrison. LOVE The Hollows. Madison Avery . . . not so much. And angst is the opposite of boring, so maybe Soul Screamers would work for me. I think I’ve got the first book around here somewhere . . .
I’m 30ish and I also enjoy YA too Jessica! But I do agree, most of the time, I stay away from books with angsty teenage drama and high school cliques and politics. Been there, done that! No need to read more about it! Aaah I need to read all these series! They have been in my TBR since forever! But I have Cinder and Throne of Glass so I’m going to start with those! And I’m going to check those standalones too, we mostly have the sane taste in books so I might enjoy some, if not all! Throne of Glass! Start with Throne of Glass, LOL. Best. Book. EVER. And standalone-wise, The Splendor Falls is probably my favorite, and even though Immortal Beloved isn’t standalone, it’s only a trilogy, and it’s just amazing. It’s one of those series that I recommend to everyone. I haven’t read an MG since my kids were that age, but totally read YA titles in my mix and I am 40 something. The books say 16 and up. I am the up!!!! Me too! And the only MG I’ve read recently (and that was like 2+ years ago) that I really liked was The False Prince by Jennifer Nielsen. SO with you on Laini Taylor, I didn’t get to read the others though I want to, lol. Other YAs I liked: Kady Cross (Steampunk Chronicles), the Infernal Devices by Cassandra Clare, Julie Kagawa’s works, Kendare Blake (Anna Dressed in Blood, didn’t get to the second yet, lol! ), Possess by Gretchen McNeil, Darker Still by Leanna Renee Hieber… okay, you know what, I think we can safely say the YA I end up liking is most likely not contemporary, does not feature any kind of high-school related anything even if the character is of that age, and it generally has little to do with that we’d call a “regular teen life” – ie they’re in a fantasy/paranormal world and they could be 25 just as well as they are 16 or whatever. Out of the YAs I’ve read that are contemporary, I enjoy those were the teens suffer, mwahahaha. Like The Fault in Our Stars, The Reece Malcolm List by Amy Spalding, or Saving June by Hannah Harrington, for instance. I mean some real dramatic event that affects them. And then I don’t like them cause they’re about a teen, but because the dramatic event & consequences combo was well done by the author… I generally feel good stories need their MCs to really suffer, lol, and I don’t feel comfortable with MCs being underage mostly because of that, I guess. I mean I feel more comfy with them being somewhat adult-ish, like say NA. Yeah, I loved The Girl in the Steel Corset. I will definitely finish that series sometime (HOPEFULLY) soon. Same with Infernal Devices, Anna Dressed in Blood. And I alternate between fluffy (Lola and the Boy next Boy) and heavy (The Perks of Being a Wallflower, The Sea of Tranquility), but some of the middle-of-road ones are good too (Will Grayson, Will Grayson). Uuuuh yeah on The Perks of Being a Wallflower, and I’m gonna read The Sea of Tranquility sometime this year, so help me God, lol. Exactly!! Relating to the MC is key, and I don’t relate to teenish, high-school drama centered/involved type at all. The Sea of Tranquility is amazing, you’ll love it. I don’t either. I didn’t even when I WAS in high school. When I started blogging almost all I read are YA. Back then I didn’t know NG & EW existed and I don’t have an ereader yet so i rely on the library for my fix and they have a great collection of YA. Then it’s love triangle and insta-love after the other and slowly I grew wary of the genre. Right now I very rarely read YA but there’s quite a few that I’d read only because I started the series before my YA ban. I get you, and I’m sure that if I fell into the insta-love/(bad) love triangle trap over and over again, I’d be more reluctant to read it myself. But man, I can’t imagine missing out on some of the YA series that have come out just in the last five or so years. Is it love triangles across the board that you don’t like, or just the nasty, cheating, wishy-washy love triangles? Hmmm I have Cinder and the Maas books but I haven’t read any I confess. But I was really mixed with Strange Angels but the Maar book was ok for me. My fave? lol that’s difficult. I finally don’t read a lot of them but I really enjoyed Mythos Academy by Jennifer Estep, The Falconer by Elizabeth may for the one I remember about but it’s true that it’s easier to say my fave UF series lol. Strange Angels is the only series of that type that I’ve really liked. My closest-to-me-in-age sister is usually my gauge for that kind of thing, and she HATED it. I think that’s the only series that I’ve really liked that she’s hated (she thought it was too dark and painful). And I really didn’t like the first Wicked Lovely book. I only read the second one out of boredom, and that’s when the series took off for me. And I really love the Mythos Academy series too, and I need to finish it SOON. Oh! I loved pretty much all the books on your list, only I could not stand Throne of Glass. Something about the MC drove me nuts and the lack of danger in the actual tests. I especially love Kristin Cashore’s books. Great post and lots of pretty pictures! 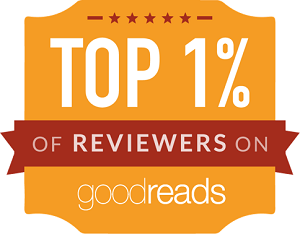 Yeah, I have read and liked a grand total of ONE MG/book that feels MG in the last . . . three years(ish). But there are a ton of the other kind, and many of those have been fantastic. 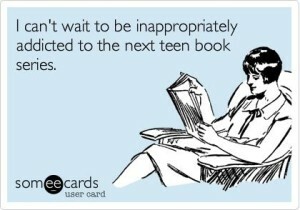 I’ll have to check out some of those older YA books that you liked as well. I will always love YA and MG books I think. It helps keep us young. Yeah, I can count the number of YA contemporaries on my TBR on one hand . . . probably, LOL.